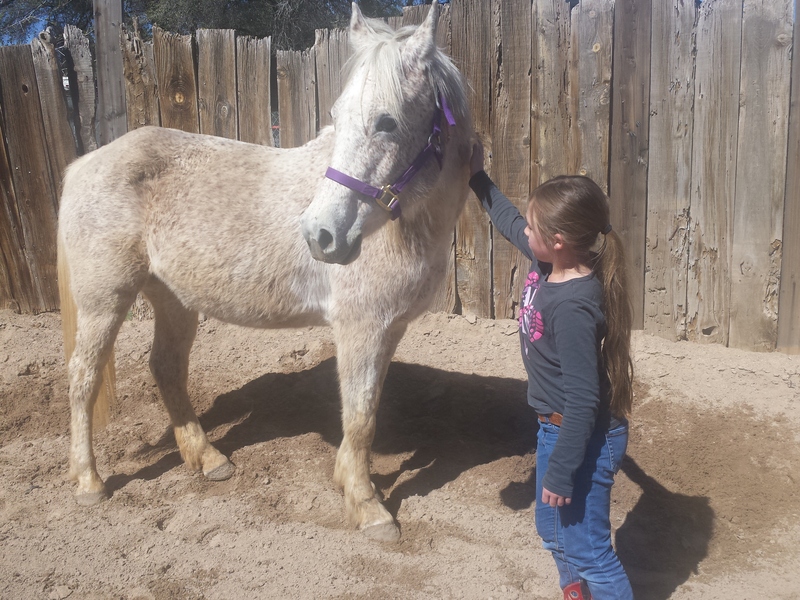 I have chronicled a little bit here about my little girl’s struggles and fears with her horse, Romance. She loves this horse with ALL of her heart and soul. And she is timid and harbors some fear from a scary experience from a horse she rode prior to getting her own baby, Romance. 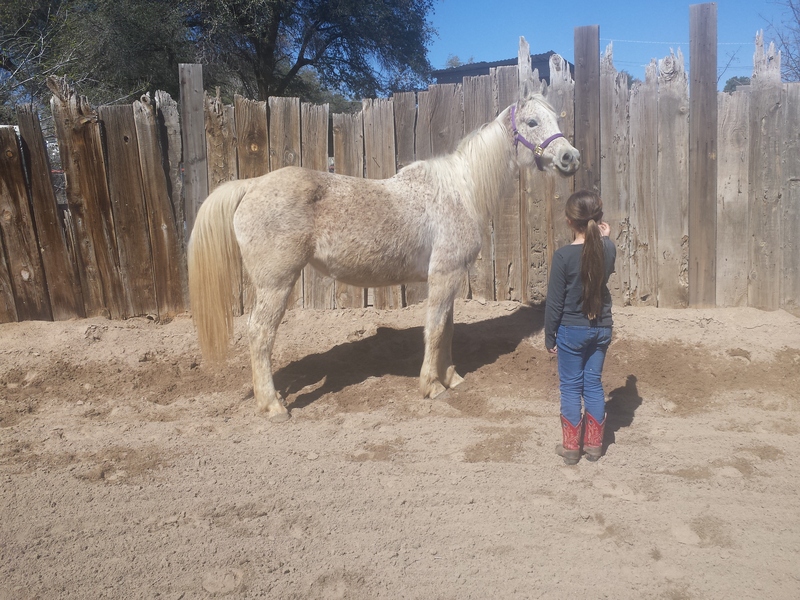 Romance is stubborn, challenging, diva-ish ….and yet still-I have reluctantly discovered- the perfect horse for my timid and sweet little girl. We all have fears to work through. If we want it bad enough, we do it. If we don’t want it, that’s okay. No one is forcing us to do things we don’t want to do. I will never push her. But I will support her. I have always told her that she never has to do anything she truly doesn’t want to. BUT if she wants something, then she can’t let fear stop her. There’s a fine line there, isn’t there? Even for us adults. I know. 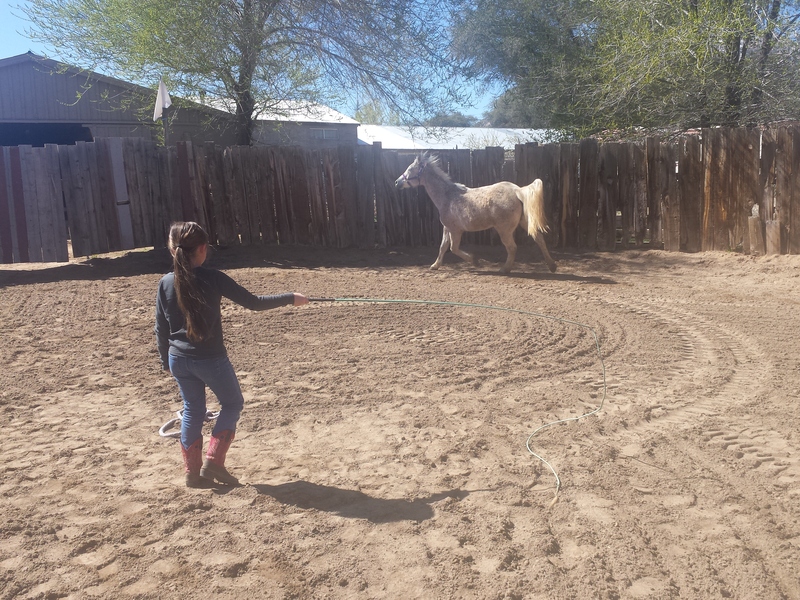 This experience with her horse will shape her and guide her in life as she meets other challenges. Both her horse and your support have provided an excellent upbringing and many positive lessons learned. Oh yes, very well said. Thank you! This is in a sense a “training” ground. Whether it be horse, or something else, these are the moments and challenges that grow our children in who they are. So wonderful for you, and the girl, and the horse, and the family to have and cherish these experiences and to grow through them. Very beautiful! Yes, most definitetly. In our world, it seems to be horses, but-really-this can be translated into so much. Whatever passion and challenge our children face is such an amazing part of their development. She is. And, she is smiling at your encouragement. Thank you! Wow. It must be nice to look back on that and know that you shared that amazing experience! ….24 deserves a nice, quiet, retirement. It is. For us, we learn so much through horses. For others, it is different opportunities. But, all the same, it is certainly magical to see a child grow and expand in who they are. I’m putting this in my art journal, “It wasn’t always pretty, but it was always beautiful.” So, so true in so, so many situations. I made dozens of these to process my fear before going to ride horses in Wyoming. I love this. Thank you so much for the link. My girl draws and draws…and draws horses daily so this is a great idea for us to pursue. Hats off to you! And yes, it is so true. I see it in my own life…much is not pretty, but when we get down to the nitty gritty of it, it is so beautiful. What a beautiful relationship in the making. So much growth. She is one amazing little Miss! You always have such kind words. Thank you! It is a beautiful relationship, and what that makes her really think about and process who she is. This is such a moving story! Hats off to you and your daughter for your collaboration toward this goal. I really loved your line: “It wasn’t always pretty, but it was always beautiful.” Inspiring!